Progress has been a little slow with the bad weather recently, but with the 2013 season looming fast the main service work has been completed. The coil packs were removed and replaced along with new spark plug tubes, spark plugs and o-rings. The old coil packs were very badly cracked and corroded with bits of their casings missing and oil was leaking from the o-ring seals around the plastic tubes. 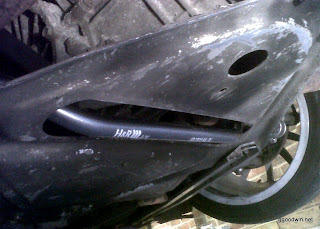 Next the oil was drained and a new genuine filter fitted. Finally a the engine was given a good clean around the valve covers and the underside of the engine, where oil is weeping (not dripping yet!) from the rear main seal area. The engine runs noticeably smoother now. In the mean time our H&R anti-roll bars arrived. Whilst these are heavier than the originals (being solid rather than hollow) they will reduce the amount of body roll when cornering. 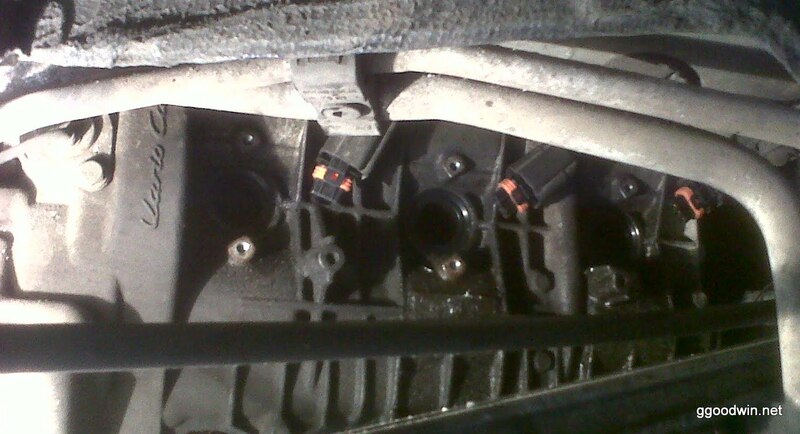 These were fitted with new rubber bushes and stainless bolts. Adjustable drop-links are being made up for us and these will enable the car to be correctly corner weighted. 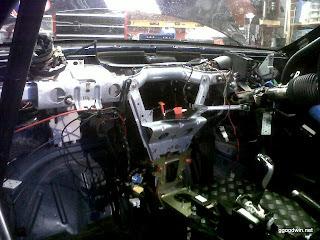 The next piece of work was to remove the seats and dashboard (again!) in order to pull out the main air-con and heater matrix unit. This is the work we should have done the first time around when getting the roll-cage installed having now realised we still need to reduce the weight of the car by around 20kg's. A basic lightweight heater will be installed to ensure we can still clear the windscreen in the rain and have some cool air flow in the hot summer. A significant amount of wiring can also be removed which fed the roof mechanism, interior lighting, heater control, air-bag control and PCM sat-nav units. Every little helps.